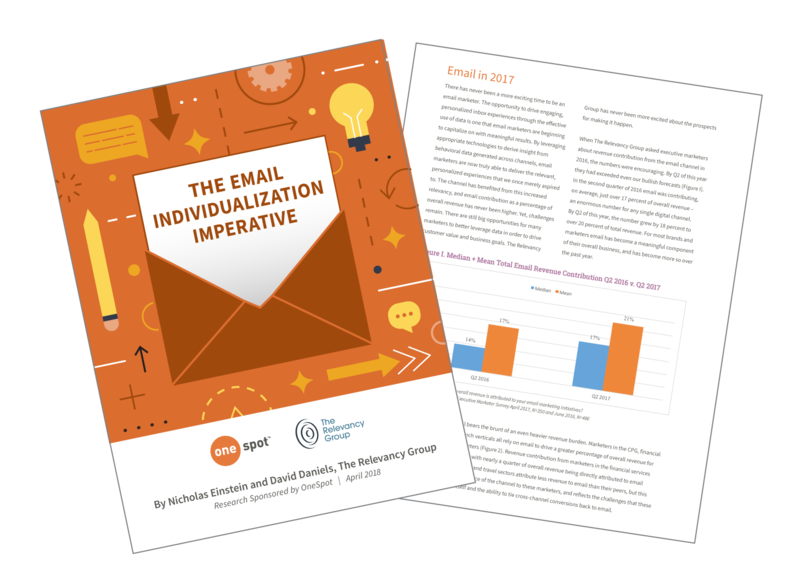 Today, largely due to advances in the application of AI and machine learning technology, marketers can now effectively and efficiently drive email marketing messages to segments of one, at scale. OneSpot is a marketing technology company that individualizes the content experience across digital channels, driving meaningful engagement with your content. OneSpot automates the individualization process by leveraging machine learning and saves you time by delivering our platform as a managed service.